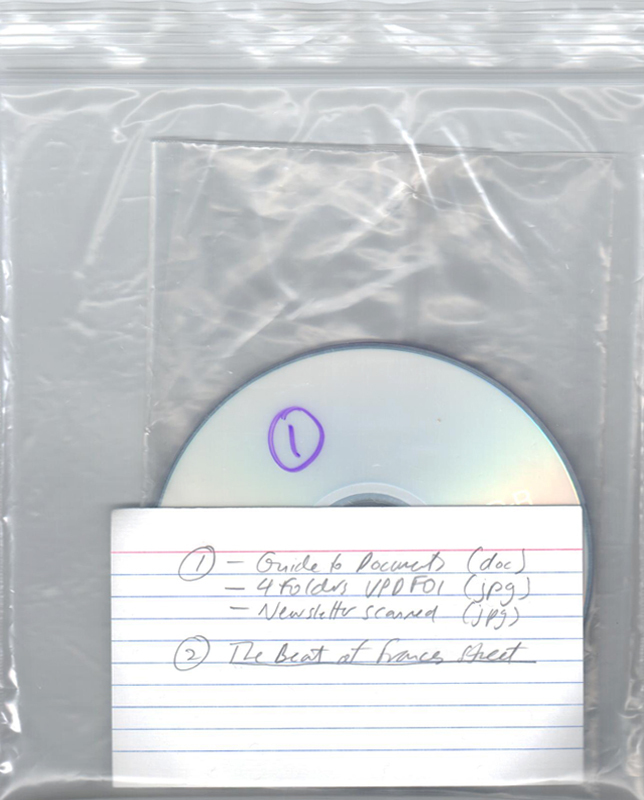 Woodward’s Amateur Historical Society Archives collects the work of W.W.A.S., a provisional research collective assembled by Josh Gabert-Doyon as part of his Notes on Permanent Education (N.O.P.E.) fellowship with 221A. 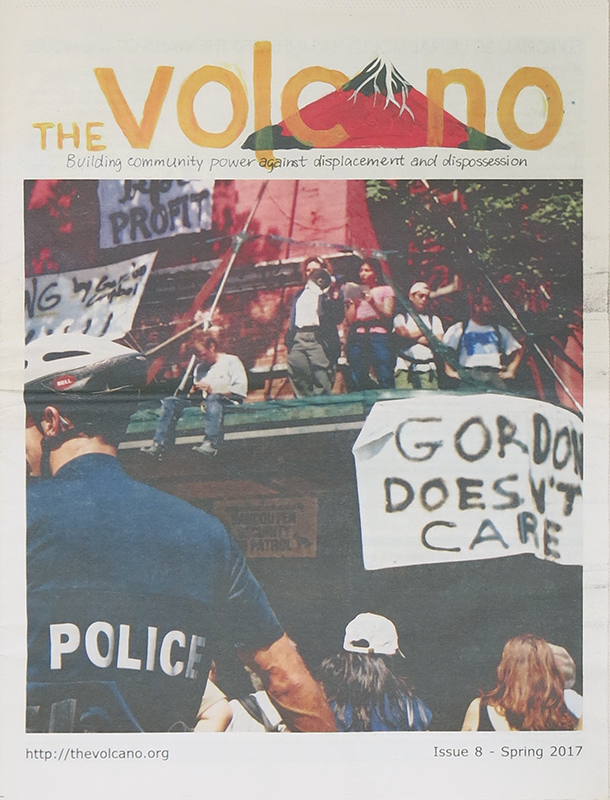 The collective (Brit Bachmann, Gabi Dao, Josh Gabert-Doyon, and Byron Peters) occupied Pollyanna 圖書館 Library to plan and carry out an investigation into Vancouver’s Woodward’s building as a historic theatre of class struggle. W.W.A.S. charted the building’s varied articulations over the past century to grasp Woodward’s as a historical constellation; that is, as a tangle of intertwined narratives through which to comprehend the distinct co-development of urbanism and capitalism in Vancouver. 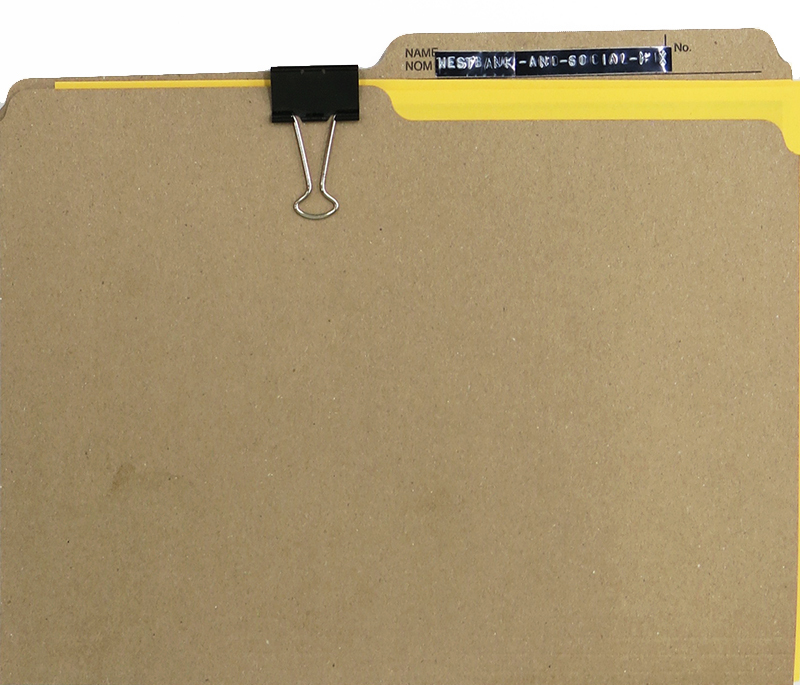 The collective’s research traces the history of Woodward’s by drawing connections between fragments of civic archives, activist histories, commercial ephemera, redacted emails, and nostalgic Facebook groups. W.W.A.S. understands this ‘prehistory’ as a force that haunts Woodward’s controversial ‘present history’ of the last two decades: its acquisition, demolition, and reconstruction as a ‘social-mix’ condo-art megaplex by Westbank Corp, a model now archetypal of private-public redevelopment schemes. The nature of the collective’s findings led its activity out of the Pollyanna 圖書館 Library stacks and into unfamiliar territories in purpose and method. 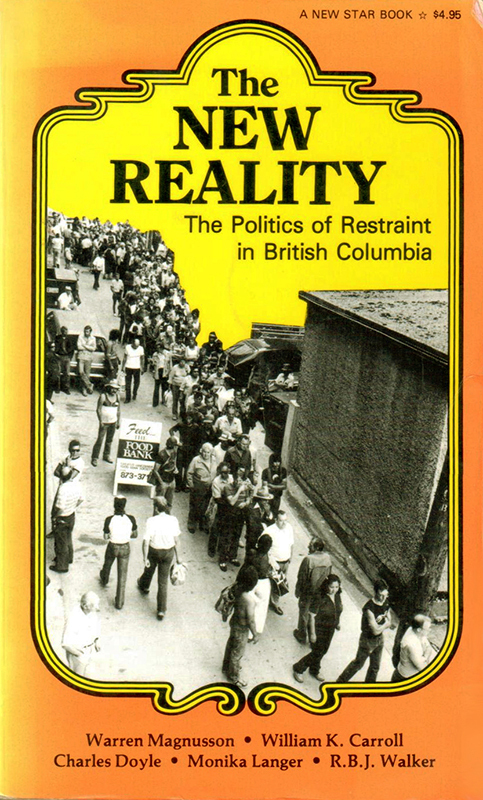 In coming to understand present-day Woodward’s as an engine of ‘artwashing’, wherein the ongoing, brutal redevelopment of Vancouver’s ‘urban frontier’ is sold as a form of cultural production, the collective moved to refocus its energies to not only understand he politics of Woodward’s, but to intervene in it. W.W.A.S. took on a program of ‘action-research’, where knowledge production meets the political through tactics of insurgent publishing, journalistic provocation, and building living solidarities. 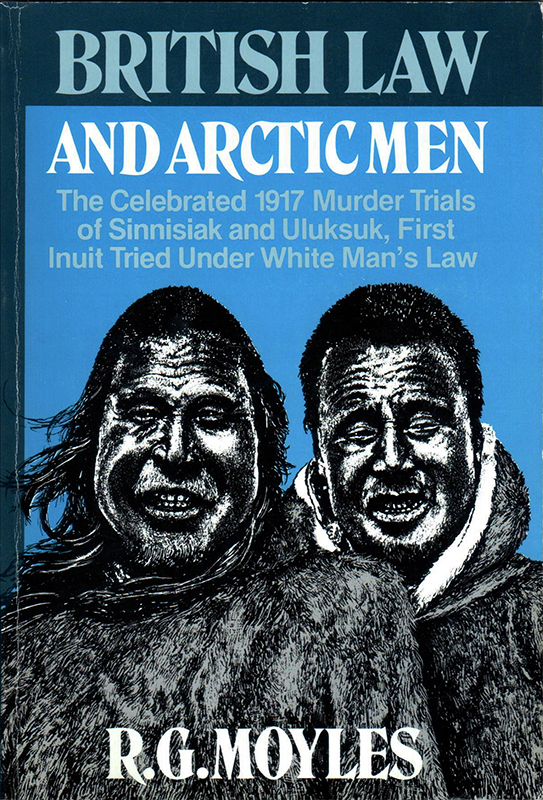 The Woodward’s Amateur Historical Society Archives collects this work. 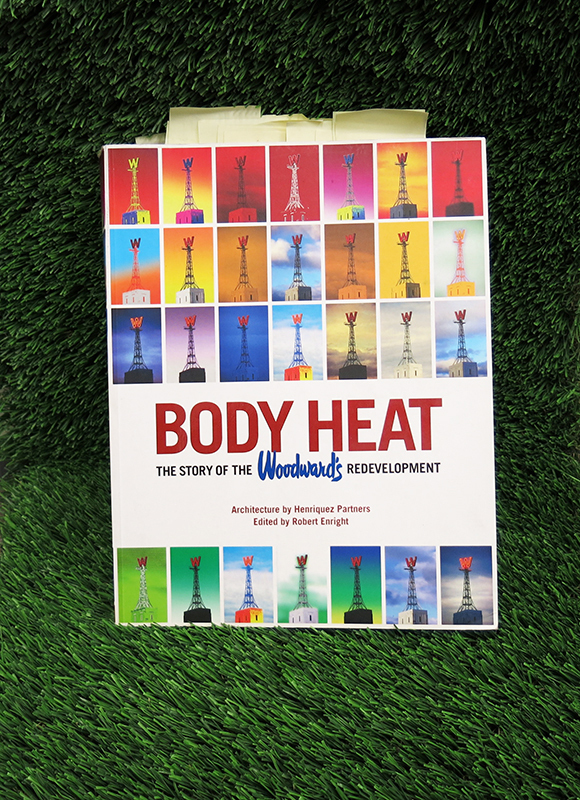 Available Woodward's Amateur Historical Society Archives Body Heat: The Story of the Woodward's Redevelopment Edited by Robert Enright Print W.W.A.S. 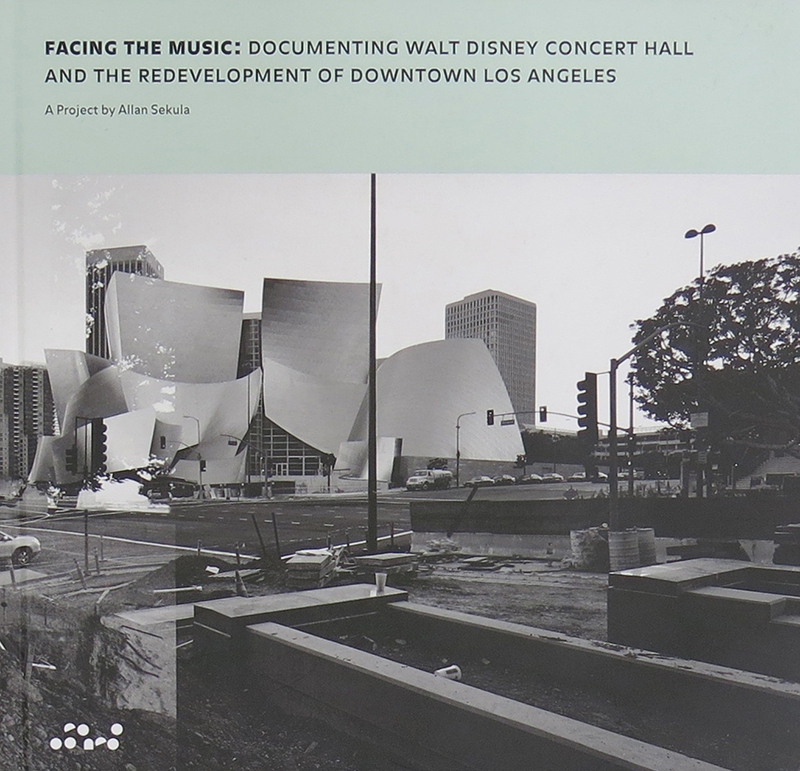 Available Woodward's Amateur Historical Society Archives Facing the Music: Documenting Walt Disney Concert Hall and the Redevelopment of Downtown Los Angeles Allan Sekula Print W.W.A.S. 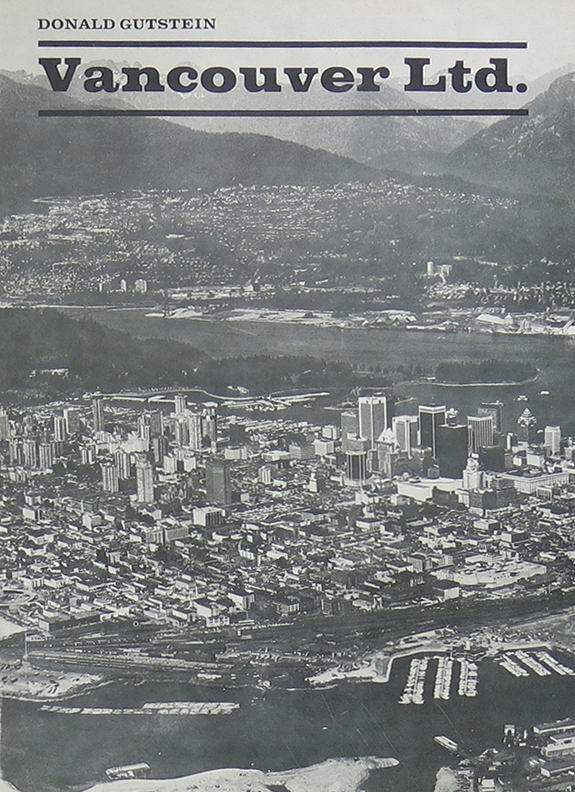 Available Woodward's Amateur Historical Society Archives Citizen City: Vancouver's Henriquez Partners Challenges Architects to Engage in Partnerships that Advance Cultural Sustainability Marya Cotten Gould, Gregory Henriquez, Robert Enright Print W.W.A.S. 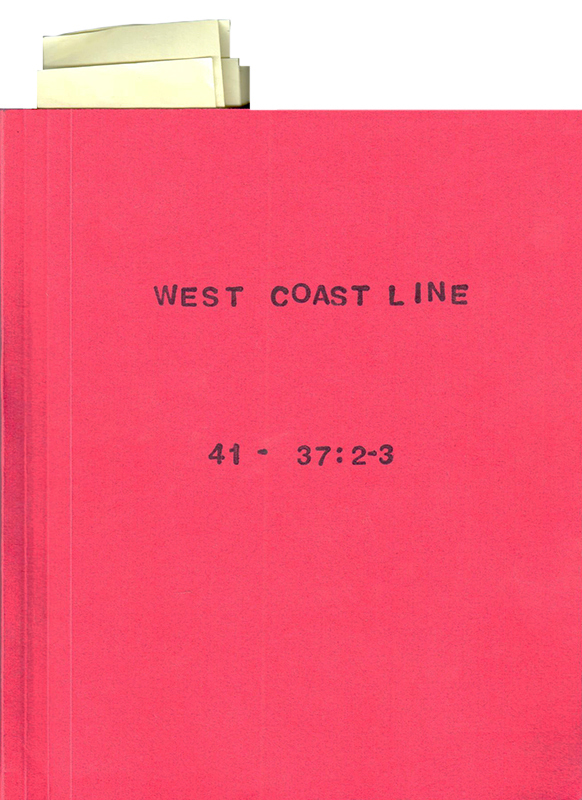 Available Woodward's Amateur Historical Society Archives West Coast Line 41 - 37/ 2-3: Woodsquat Edited by Aaron Vidaver Print W.W.A.S. 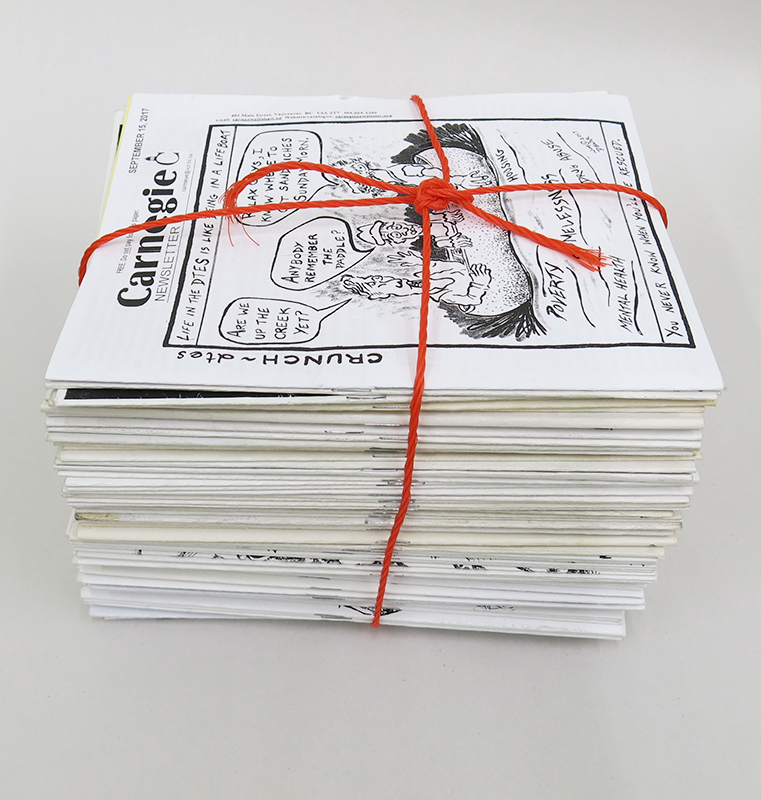 REF Reference Woodward's Amateur Historical Society Archives Carnegie Newsletters, a selection of issues from 1992-2017 Carnegie Community Centre Print W.W.A.S. Edited by Tania Willard Print W.W.A.S. Available Woodward's Amateur Historical Society Archives Every Building On 100 West Hastings Stan Douglas Print W.W.A.S. 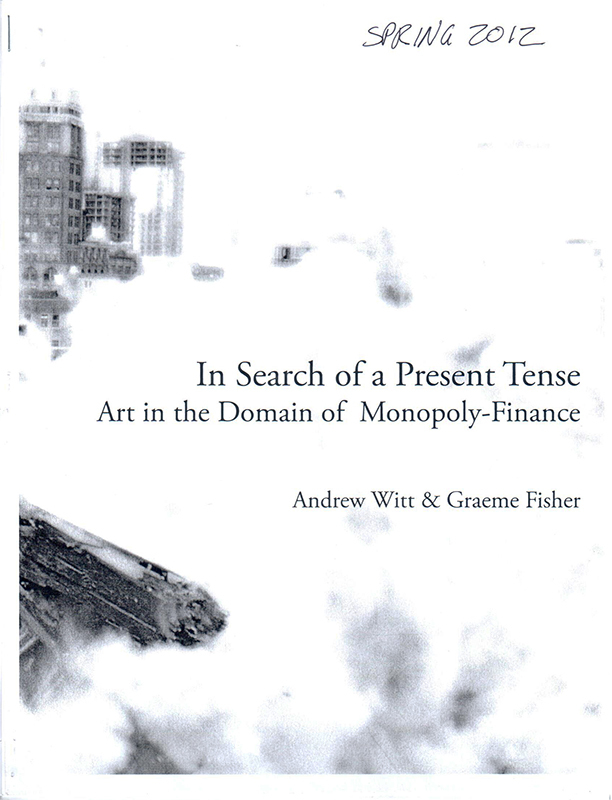 Available Woodward's Amateur Historical Society Archives In Search of Present Tense: Art in the Domain of Monopoly-Finance Andrew Witt & Graeme Fisher Print W.W.A.S. REF Reference Woodward's Amateur Historical Society Archives AstroTurf Byron Peters Synthetic Fibers W.W.A.S. REF Reference Woodward's Amateur Historical Society Archives BEAUTY IS CLASS WAR W.W.A.S. Print, Foamcore W.W.A.S. 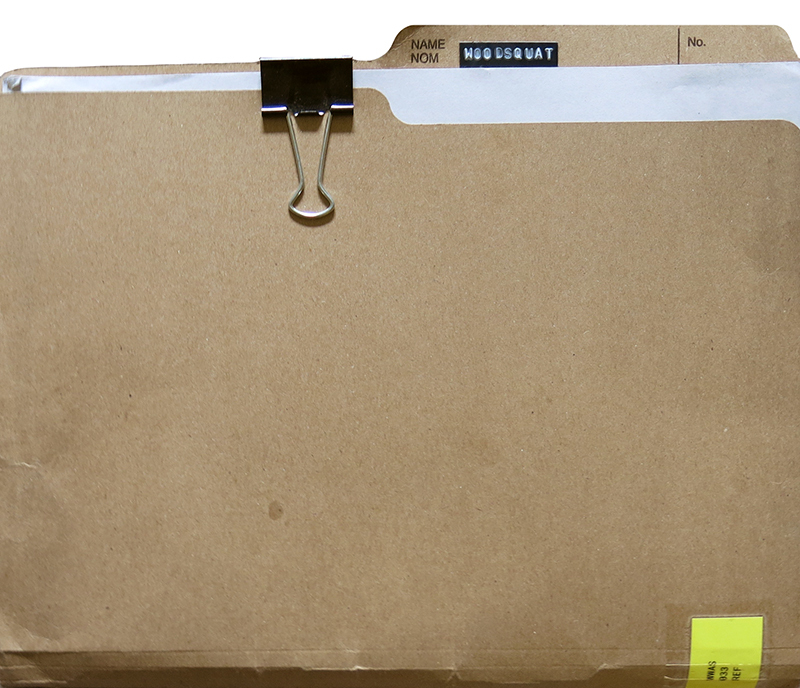 REF Reference Woodward's Amateur Historical Society Archives WESTBANK IS EVIL W.W.A.S. Print, Foamcore W.W.A.S. REF Reference Woodward's Amateur Historical Society Archives DISPLACEMENT IS NOT BEAUTY W.W.A.S. Print, Foamcore W.W.A.S. REF Reference Woodward's Amateur Historical Society Archives HUCKSTERS W.W.A.S. Print, Foamcore, Wood W.W.A.S. 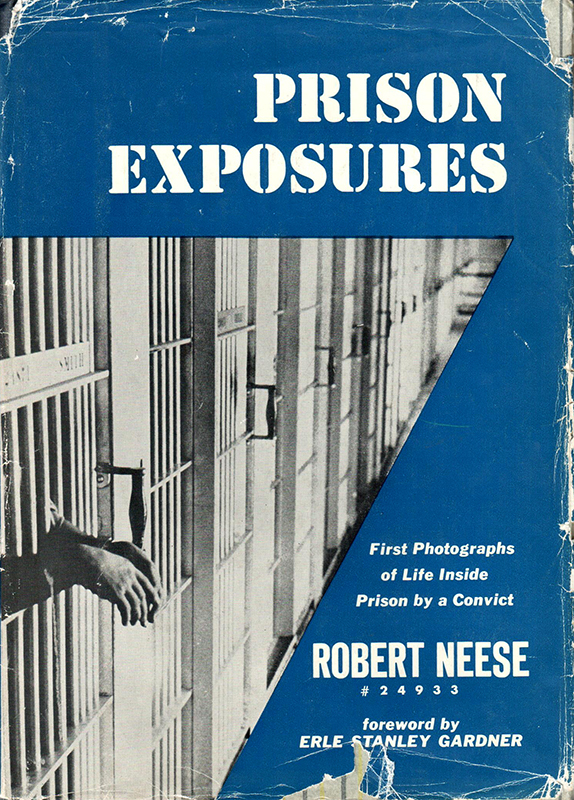 REF Reference Woodward's Amateur Historical Society Archives VIOLENCE MASQUERADING AS BENEVOLENCE W.W.A.S. Print, Foamcore, Wood W.W.A.S. REF Reference Woodward's Amateur Historical Society Archives WHEN DID WE SAY YES TO SURVIVAL BEING DISCARDED DELETED DEMEANED? W.W.A.S. Print, Foamcore W.W.A.S. 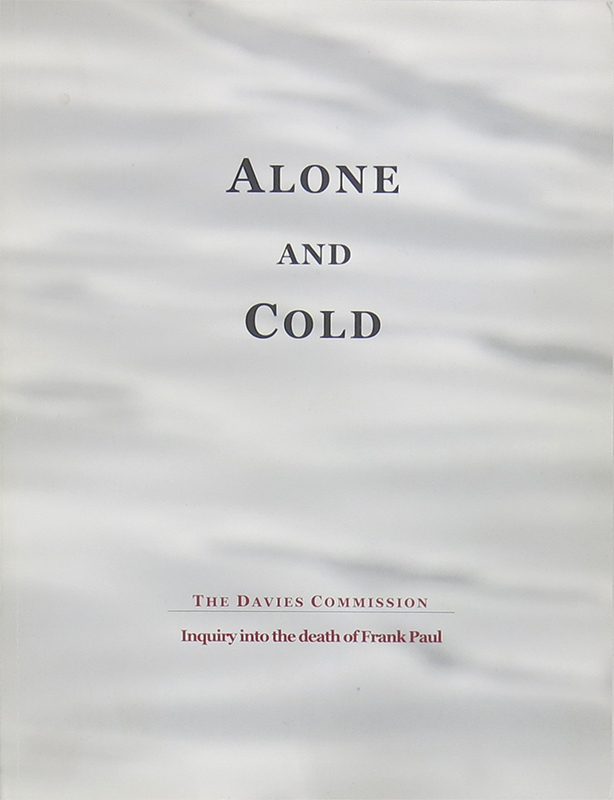 Available Woodward's Amateur Historical Society Archives Alone and Cold: The Davies Commission - Inquiry into the death of Frank Paul The William H. Davies, Q.C., Commission Print W.W.A.S. 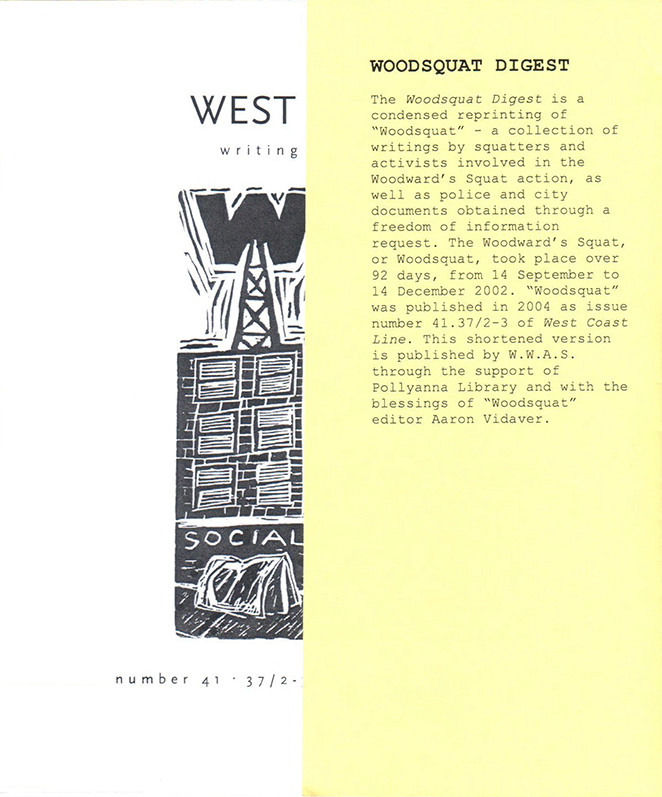 Currently Unavailable Woodward's Amateur Historical Society Archives Woodsquat Digest W.W.A.S. Print W.W.A.S. REF Reference Woodward's Amateur Historical Society Archives Department Store Nostalgia And Bankruptcy W.W.A.S. Print W.W.A.S. 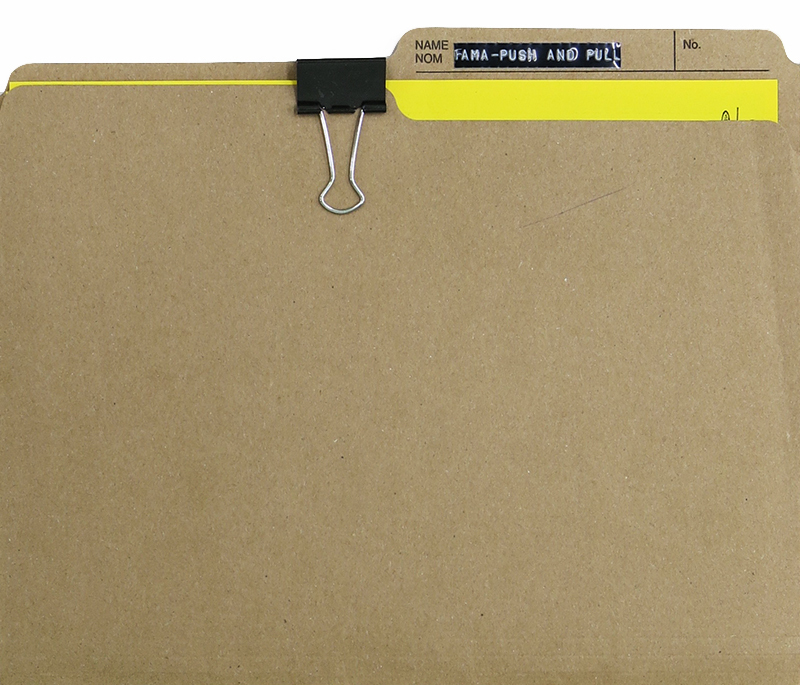 REF Reference Woodward's Amateur Historical Society Archives Fama Push And Pull W.W.A.S. Print W.W.A.S. 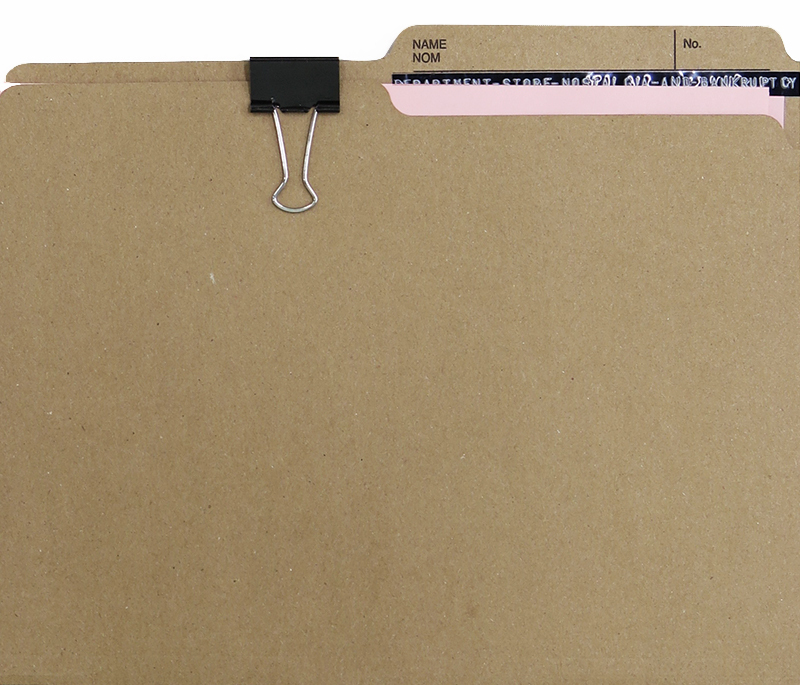 REF Reference Woodward's Amateur Historical Society Archives Lasting Impact And FFB W.W.A.S. Print W.W.A.S. 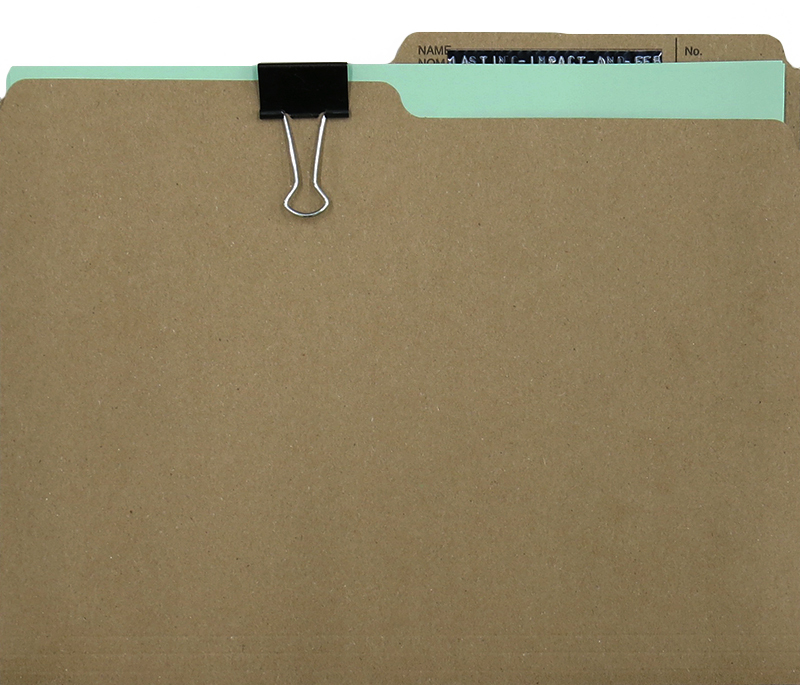 REF Reference Woodward's Amateur Historical Society Archives Westbank And Social Mix W.W.A.S. Print W.W.A.S. 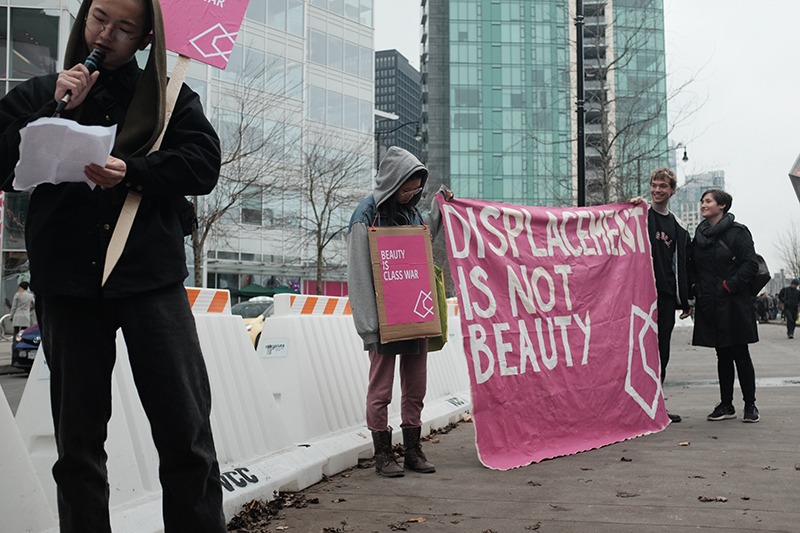 REF Reference Woodward's Amateur Historical Society Archives Displacement Is Not Beauty Banner Beverly Ho, W.W.A.S. Photo by Sungpil Yoon Canvas W.W.A.S. REF Available Woodward's Amateur Historical Society Archives W.W.A.S. 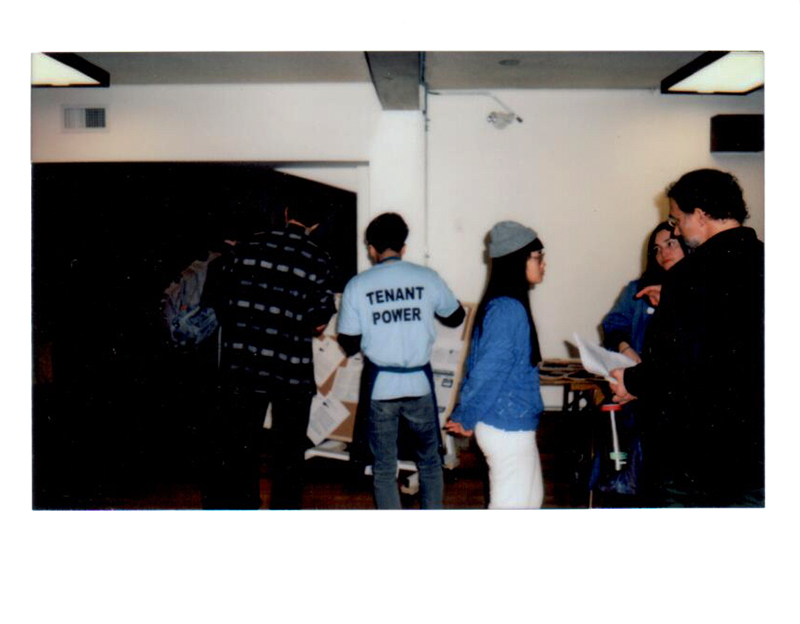 at Housing Justice Fair, Vancouver Tenant's Union first AGM + Convention Sungpil Yoon Polaroid W.W.A.S. 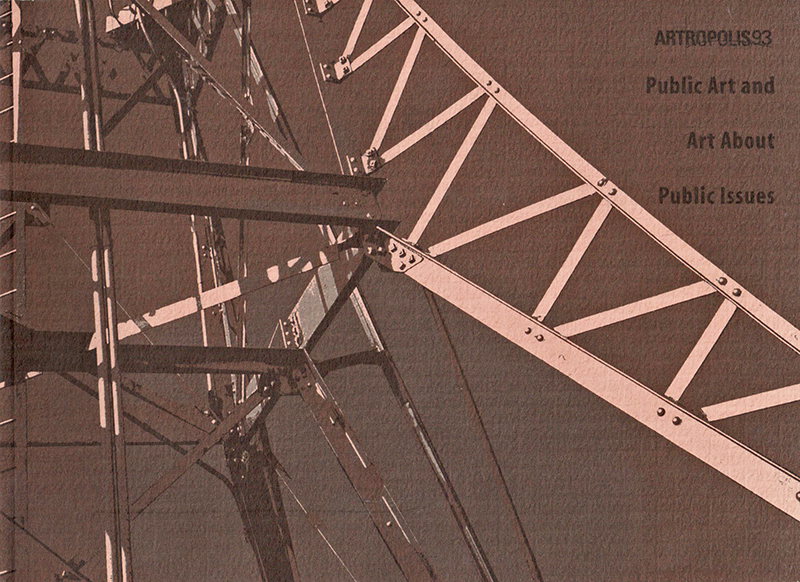 Available Woodward's Amateur Historical Society Archives The Volcano: Issue 8 - Spring 2017 The Volcano Editorial Collective (Dave Diewert, Harold Lavender, Herb Varley, Ivan Drury, Jean Swanson, Natalie Knight, Sarah Sheridan, Shannon Bundock) Print W.W.A.S. 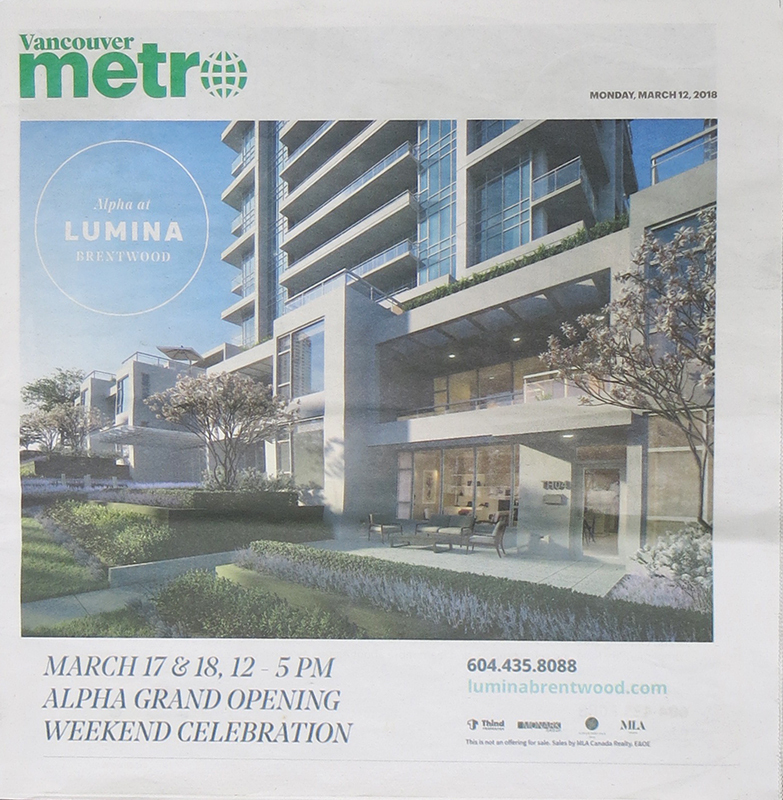 Available Woodward's Amateur Historical Society Archives Vancouver Metro: Monday, March 12, 2018 Vancouver Metro Print W.W.A.S. REF Reference Woodward's Amateur Historical Society Archives Woodsquat W.W.A.S. Print W.W.A.S. Josh Gabert-Doyon is a writer, photographer, and documentary radio producer. He currently works at Fillip and Cited, a podcast about academia and the politics of expertise. Brit Bachmann is a multidisciplinary artist and writer with an affinity for social anthropology and structured inefficiency. She works with clay, drawing materials, radio and publishing. Brit is the Editor-In-Chief of Discorder Magazine. 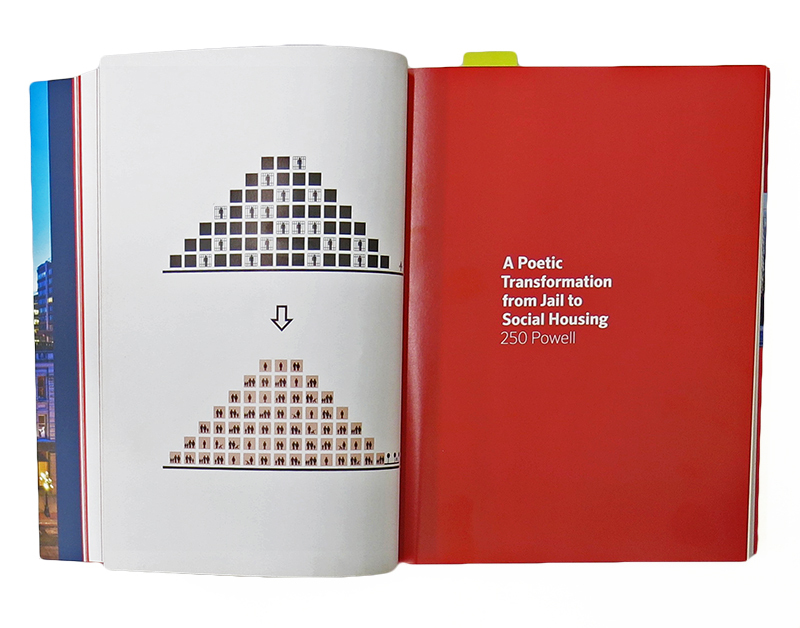 Gabi Dao addresses the structures that influence biography, history and memory. Incorporating sculpture, installation, sound, writing and podcasting, she questions popular narratives of global cultural industries such as tourism, Hollywood, music, museums and retail within the formation of subjective experiences. Dao is a co-organizer of exhibitions, readings, musical performances and other happenings at Avenue (2013-2015) and Duplex studios (2015-present). She has participated in projects and exhibitions at Unit 17, Nanaimo Art Gallery, Western Front, Artspeak, The National Music Centre, 221a, and Spare Room. Byron Peters is an artist and writer based in Vancouver, unceded Coast Salish Territories. 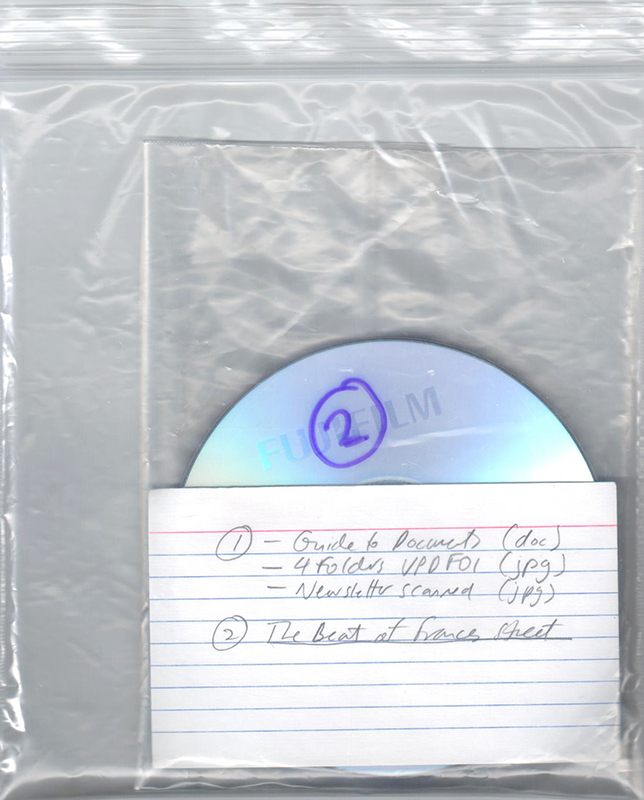 His practice critically engages labour and materiality in the context of emerging technologies, economic imaginaries, prison education, and the effects of gentrification and displacement. 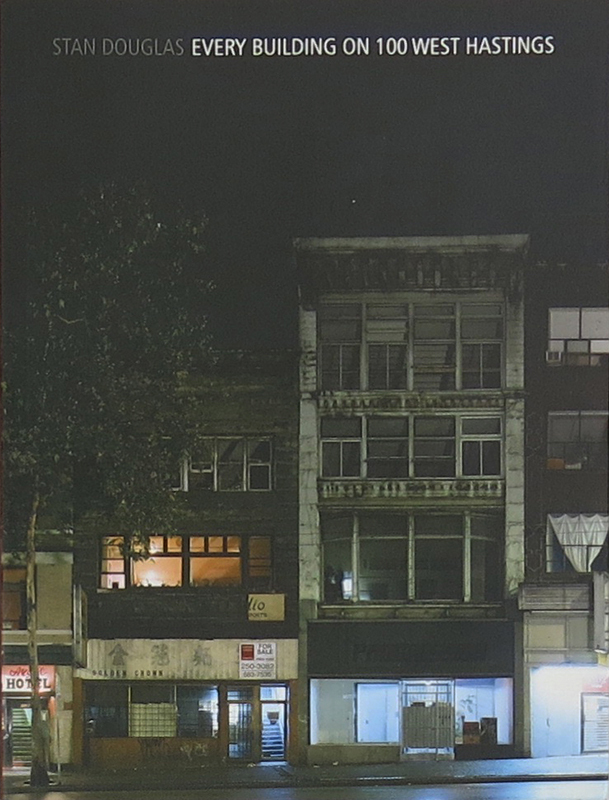 Peters’ solo and collaborative works have been exhibited at The Darling Foundry, Montreal; Para Site, Hong Kong; ICA Miami; The White Building, London; The Elizabeth Foundation for the Arts, New York; The Asian Art Museum of San Francisco, and others. 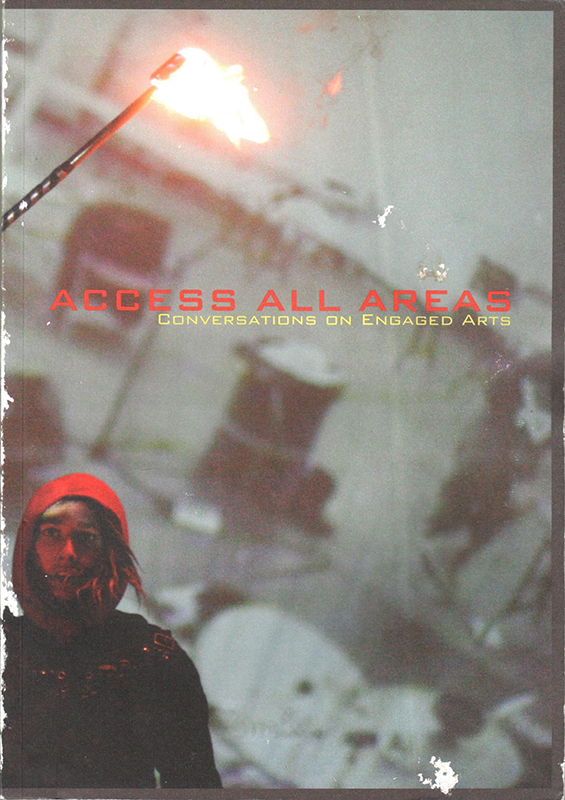 His writings have appeared in Continent, SFMOMA Open Space, Cesura//Accesso, and Fillip. Jakob Knudsen is an Indigenous writer of mixed Danish, Métis and Interior Salish ancestry from q̓ic̓əy̓, Stó:lō, and Kwantlen territory. His work investigates the perpetuation of colonial ideology and neoliberal hegemony in progressive spaces via Eurocentric thought. Using Trickster methodologies of reading and writing, he hopes to clarify pattens of harm and imbalances of power towards an egalitarian and intersectional understanding of class, race, gender, and imperialism. Currently earning his BFA at Simon Fraser University majoring in First Nations Studies with minors in Sociology and Legal Studies.